Yesterday, after sixteen years as CEO of RealNetworks, the company announced that Rob Glaser would step down as the CEO and the day-to-day operations of the company. 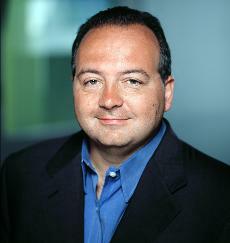 Rob will still maintain his chairman of the board duties and is still the largest single shareholder in RealNetworks. When the news broke, it was very interesting to watch how many bloggers jumped on the story and published a post without really knowing anything about Rob, what he accomplished with RealNetworks and the role he played in starting the entire online video revolution. Many were quick to say he should have stepped down long ago, wanted to imply that RealNetworks business is in trouble or wrote about the "format wars" from nearly ten years ago. The reason for this is that none of the bloggers I read are actually in, or from, the online video industry. They weren't around in 1995 webcasting with RealAudio 2.0 software, weren't encoding video two years later when Progressive Networks introduced RealVideo and they never had to negotiate a contract for a RealNetworks license. They simply don't know how important of a role Rob and Real have played and the groundwork they laid for the technology we have today. Half of them, including sites like USAToday.com, don't even know how to spell the name of the company or the word RealPlayer correctly. They are both one word, not two. That's not to say I think Rob and Real did everything right and Rob and I have disagreed on many things over the years. Probably the biggest thing was in 1998, while at Globix, I negotiated a $200K Real license to be able to deliver content on our network, only to then find out that Real also planned to compete with us for the same business with their own network called RBN. That was a really bad move on Real's part and was one of the reasons Microsoft was able to get their foot in the door since so many delivery networks were upset with Real's licensing practice. I also remember bashing Real in an article for Streaming Magazine in 1998 when Real decided to limit their support for the Mac client and I also didn't agree with many of the bets Real made over the last few years with regards to the iPod. But disagreements like those aside, while they don't deserve all of the credit, Rob and Progressive Networks started this industry, which can't be debated. Even former Microsoft employees who don't like Rob won't deny the fact that he deserves credit for what he's accomplished. today mentality, as opposed to looking at what they have accomplished over many years. As was evident by a lot of the bloggers who covered the news, most of them only know Real as a format that use to be around after losing the format wars to Microsoft. While that's accurate, that took place almost ten years ago and Real moved away from the online video format business nearly eight years ago. Today, they only think of Real as a gaming or music company and are quick to dismiss Real as a company that is struggling, without really knowing anything about their core business or where they get their revenue. There is no question that Real has gone through hard times over the past eighteen months with lower revenue, layoffs and a sagging stock price. But show me a company who hasn't experienced the same thing? It's not like Rob left the company in some kind of financial turmoil, like other CEOs we could all list. As of Q3 2009, RealNetworks had $373.2M in cash and short-term investments. For the third quarter, their revenue declined 5% year over year, which considering the economy we are in, is not bad at all. Many companies would give anything to get a number that low. While Real has not yet reported Q4 numbers, for all of 2009 the company will have generated more than half a billion dollars in revenue. That alone should get Rob some respect. In addition, Real's carrier platform is used by 85 mobile operators in more than 45 countries and in Q3, the company generated $47.4M in revenue just from their technology products and solutions alone. And for all the industry people who want to talk about the monetization of video, Real will generate close to $100M for all of 2009 from selling premium content services, syndication and player licenses. How many other companies are generating nearly $100M from content today? While looking through a lot of the comments on other blogs about Rob stepping down, folks were quick to say how Real is losing the music battle to Apple or how five years ago they used the RealPlayer and didn't like it. I get the sense that the vast majority of people don't know what Real's business is today and it is very clear that many of the people writing about the news don't know the history of Progressive Networks and the important role they played. Many bloggers were quick to try and get their post up first about the news that I found it sad that none of them, that I read, took the time to talk to one of the many folks who have been in the online video space since the early beginning, to ask them what Rob really meant to the industry. That alone is a good story, but many bloggers are less concerned with telling stories these days and just want to be the first to report news. In many industries, most companies don't last sixteen years. In the Internet space, it's even more unheard of. In that time, Rob managed to not only start the online video revolution but stay the CEO of a company and grow revenue to half a billion dollars. Like it or not, it's pretty hard to argue with those facts. You don't have to agree with everything someone says or does to show them the respect they deserve for what they have accomplished. Rob, for your efforts over the past sixteen years, and for what you have done for the industry over that time, you have my thanks.